The Canadian federal budget was delivered on Tuesday and we start the show with a quick look at two items that may not get a lot of attention but may have a big impact on the startup ecosystem. It wasn’t said directly, but it looks like the CAIP program will not be renewed next year. It has provided millions of dollars in funding to organizations like Communitech, MaRS, Ryerson DMZ, Invest Ottawa and many others across Canada. IRAP has been a source of funding for some of Canada’s top startups, but the government wants to see them supporting larger projects, which will likely mean larger companies as the recipients. We also run through the supercluster winners, announced since the last show. 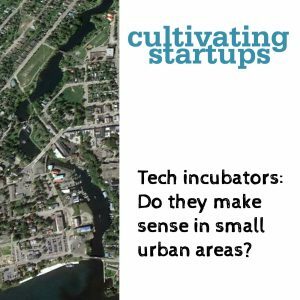 We then take a deeper dive into a planned incubator in Gananoque, Ontario and look at the bigger issues around how small urban and rural areas can reasonably participate in the “startup revolution.” The business plan says “The incubator’s success will be predicated on its ability to position itself as a world-class technology incubator”—how plausible is this in a town of 5,200 people with no university or college and very little ICT talent, companies, customers or investors?